We’ve always been the type of women who like to work. Sure lunches in the afternoon with girlfriends can be fun…but for us…creatively working on something that will make an impact is truly a part of our personal mission. For the past few months we’ve been designing a co-working space in South Central which will essentially be the bridge between the inner city and Silicon Valley. Designing this space has been both rewarding and challenging and we’ve learned a great deal about co-working spaces from both an aesthetics and business standpoint. 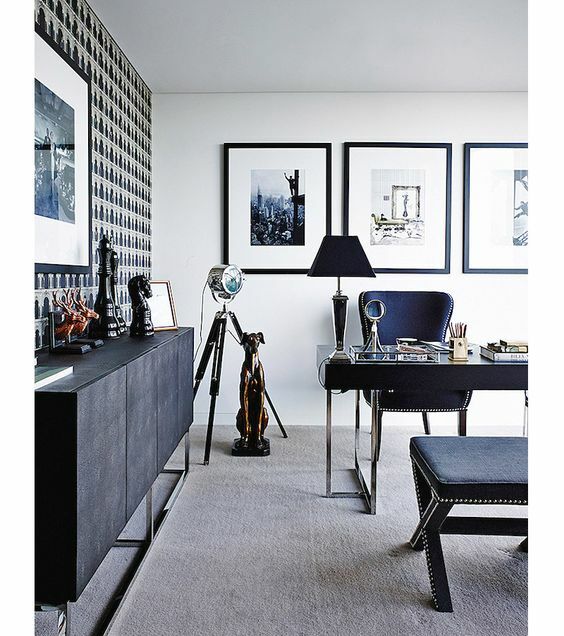 Always consider the size/scale of the space before purchasing anything. 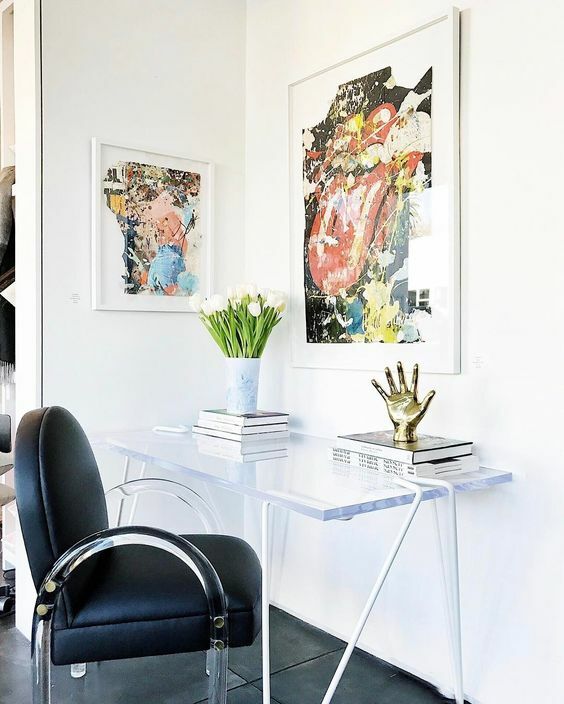 When selecting a desk — make sure it isn’t too bulky or small. 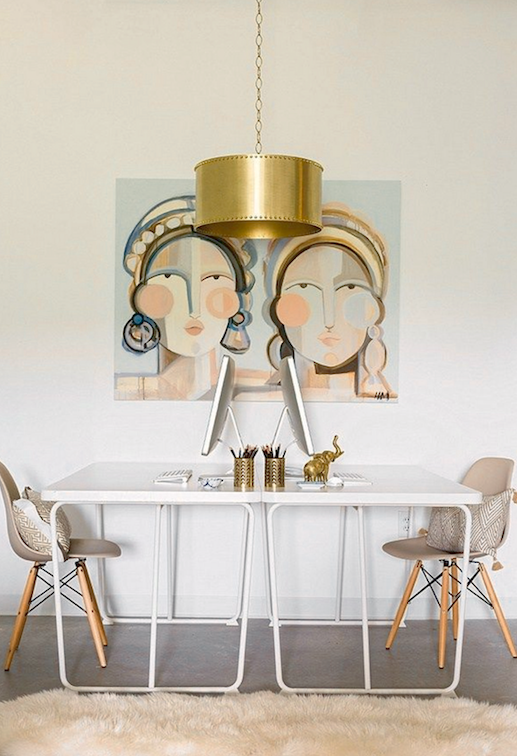 If you are working with more than one person — choose a desk that is lighter in color so it doesn’t over power the room. 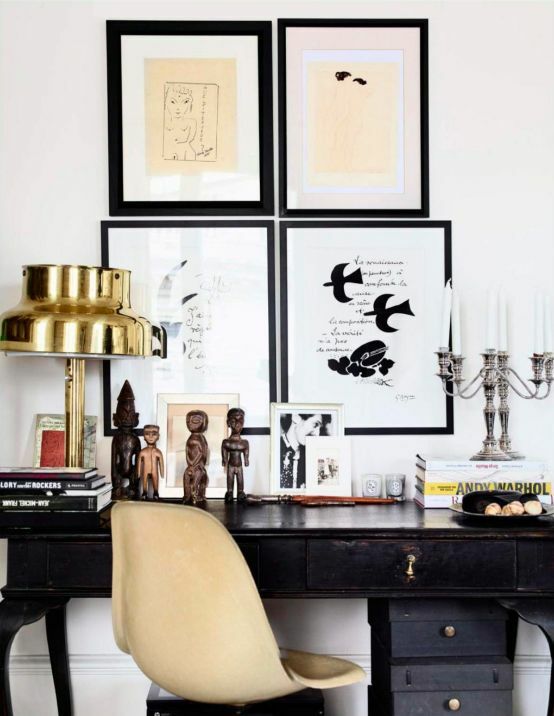 And (and this is really important) pick a chair that is chic BUT comfortable. The last thing you need is to feel uncomfortable while trying to shake the world. Aside from being organized we truly believe lighting is key! Florescent lighting can be harsh on the eyes — especially in combination with computer screens. 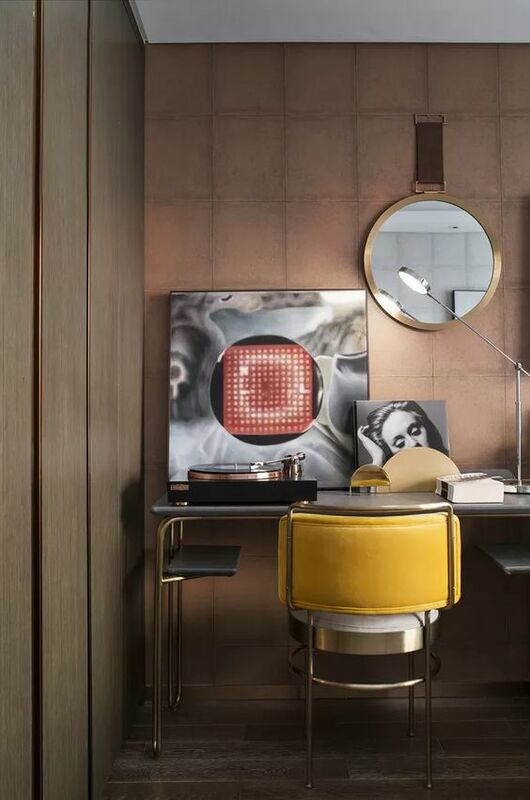 Not only does it make the room look drab but it effects moods also, so we highly suggest a desk lamp that is both aesthetically pleasing and functional. Ok, so we know we wrote “two cents” but here is the third cent. 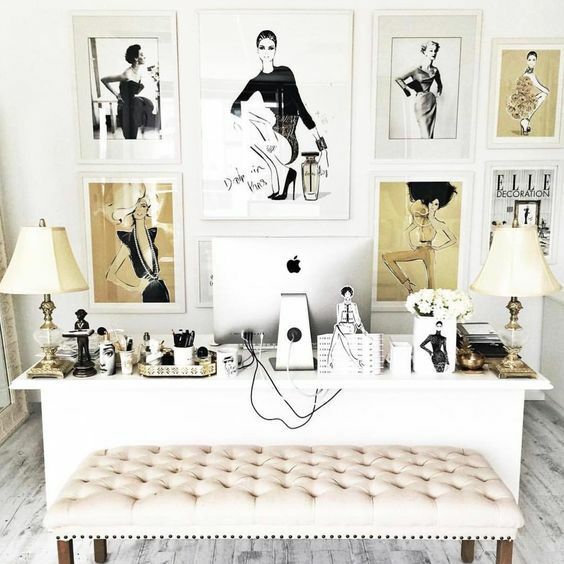 Your desk has to say something about you so add your personal touch! It can be as simple as a postcard you purchased from your travels and decided to frame, roses in a unique vase…or perhaps your favorite candle. 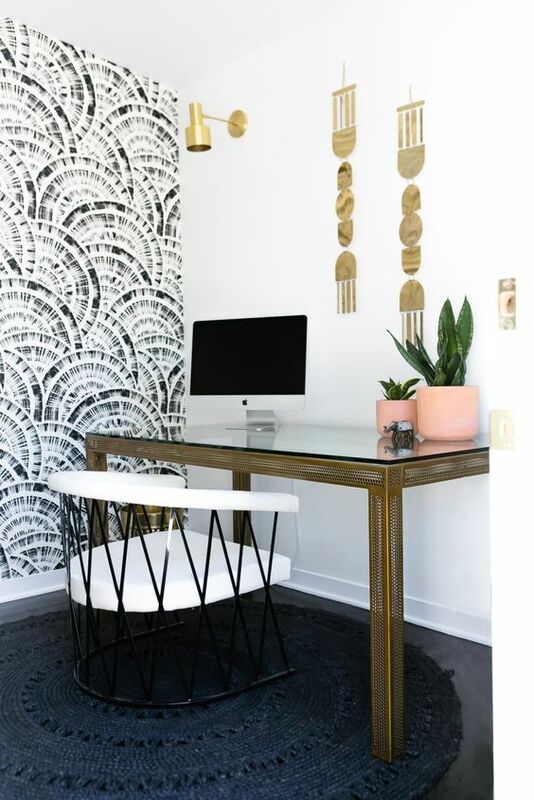 The subtle details you add to your space will help you create — trust us! 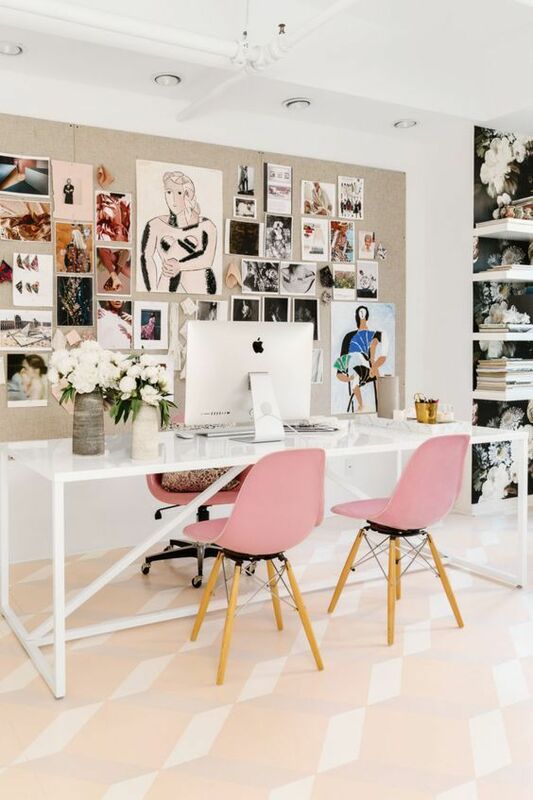 And now we leave you with some images of office spaces that motivate us to get to work! I love all the offices. Especially the pink one. Thank you! We love destination fab!